I vowed I’d never write about my second passion: cats. Yet here we are. Of course, that was before I knew that Tala existed. In the foothills of Cyprus’ Troodos Mountains, only twenty minutes drive from the coast, an ancient monastery is etched into the limestone cliff. Founded in 1159 by Saint Neophytos, the monastery was his home for sixty years. He lived as hermit in the caves he created, praying underneath vivid frescoes carefully painted into the stone ceilings of the monastery’s hollows. In addition to the original hermit’s home, St Mary’s Church that was built during the 15th century stands next door. The monastery is still fully functioning and even newer stone accommodation that lines the church sits unobtrusively among the much older buildings. Occasionally as you meander through the complex, a beautiful tabby cat will catch your eye. Skulking the flagstones or warming himself on the sunny steps leading to the church courtyard, he has the air of someone who owns the place. Unsurprisingly, he’s probably right. 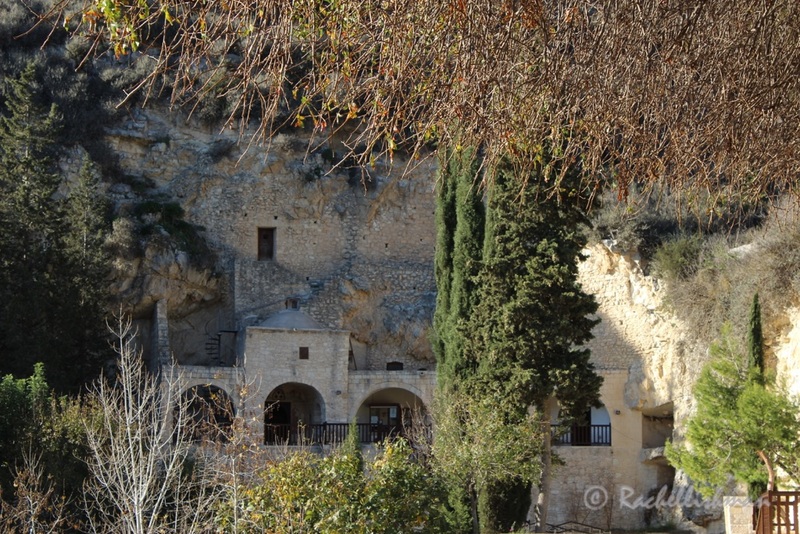 Cave-like monk’s dwellings are only the start of this Monastery’s quirkiness. For years now the monastery’s grounds and accompanying church have been home to hundreds of homeless cats. For cat lovers like me, the idea of mixing historical education with a side of cat patting is a massive draw. Unfortunately though, there’s a more sinister side to what has happened here. 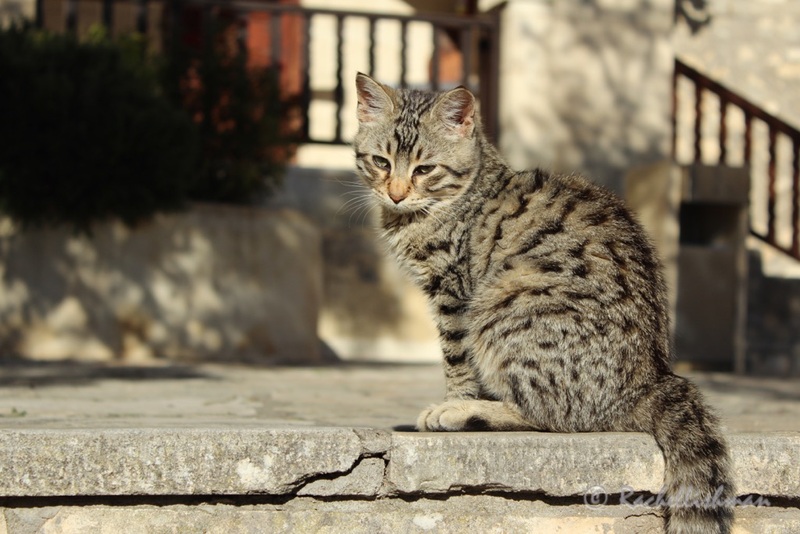 Cyprus has an increasing population of unwanted cats as owners neglect to spay their animals. As the cats breed, they’re abandoned at the monastery and during the summer months, live off leftovers from the small café. Obviously, this isn’t an ideal solution, and this is where the monastery’s Cat Park comes in. Working with little funding, Dawn and her team spay the abandoned cats with the help of local volunteer vets and feed and care for them. The ultimate goal is to re-home the animals. Just this year, 109 were found new, loving owners, not only from Cyprus, but around the world. One pretty little grey character is currently awaiting an airport chaperone to go to her new home in Germany. A leisurely afternoon drive to visit the small village of Tala with its bustling expat community and its famous monastery wouldn’t be complete without a visit to the Cat Park (for hygiene and logistical reasons, the monastery has recently donated a piece of land 50 meters away for the cats to be more securely homed) and in all my travels, it’s certainly one of the most off-beat places I’ve seen. Spending an afternoon in these foothills around Tala, not only boosts the smaller family businesses that try to compete with the large nightclubs on the coastal strip, but also teaches the visitor a little something. I left with a newfound appreciation for byzantine frescoes and an understanding that for every person willing to abandon a cause, there will be someone brave enough to take it on. If you would like to find out more about the monastery’s history, make a donation to the Cat Park, or simply use the Internet for what seems to be its primary purpose – looking at cute pictures of our feline friends! You can visit their website here. I’m very glad that some others out there like them as much as me! Oh my God, I can’t go there. I would never be able to leave with cute furrballs around me 🙂 ❤ Thanks for sharing! Thanks so much for sharing this. Cat travel companions are the best! I fell in love with an orange kitten in Mykonos–every night he’d follow me to my cabin and sleep outside my door. Wish I could’ve brought him home with me, but there was no adoption program like what you’re describing in Cyprus.